According to the EIS, if the Midship Project is built and operated in accordance with applicable laws and regulations, the mitigation measures discussed in the EIS, and FERC’s recommendations, the impact on the environment would be reduced to acceptable levels. About 128.7 miles (55 percent) of the of the project pipeline facilities would be within or adjacent to existing rights-of-way, consisting of existing pipeline, electric transmission utility (i.e., powerline), and/or road rights-of-way. Midship Pipeline would minimize impacts on natural and cultural resources during construction and operation of the project by implementing FERC’s Upland Erosion Control, Revegetation, and Maintenance Plan and Wetland and Waterbody Construction and Mitigation Procedures as well as other project-specific plans (e.g., Fugitive Dust Control Plan, Horizontal Directional Drill Procedures and Mud Monitoring Plan, Migratory Bird Conservation Plan, Unanticipated Discovery Plan, Karst Mitigation Plan, Spill Prevention and Response Procedures, Blasting Plan). FERC staff would complete Endangered Species Act consultations with the U.S. Fish and Wildlife Service prior to allowing any construction to begin. FERC staff would complete consultation under section 106 of the National Historic Preservation Act and implementing regulations at 36 CFR 800 prior to allowing any construction to begin. Midship Pipeline would comply with all applicable air and noise regulatory requirements during construction and operation of the project. 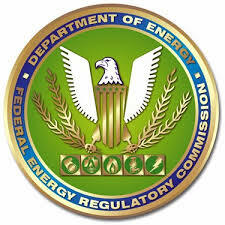 An environmental inspection program would be implemented to ensure compliance with the mitigation measures that become conditions of the FERC authorization. The EIS is based on a review of the information provided by Midship Pipeline and further developed from data requests; field investigations; scoping; literature research; alternatives analyses; and contacts with federal, state, and local agencies, Native American tribes, and other stakeholders. It was prepared in compliance with the requirements of the National Environmental Policy Act (NEPA), the Council on Environmental Quality regulations for implementing NEPA (Title 40 of the Code of Federal Regulations [CFR] Parts 1500–1508), and the FERC regulations implementing NEPA (18 CFR 380).